A collapse in the global recycling market is having reverberations in Maine. Bales of paper are building up at Portland-based ecomaine and costs are doubling as the non-profit struggles to find a market for the paper. 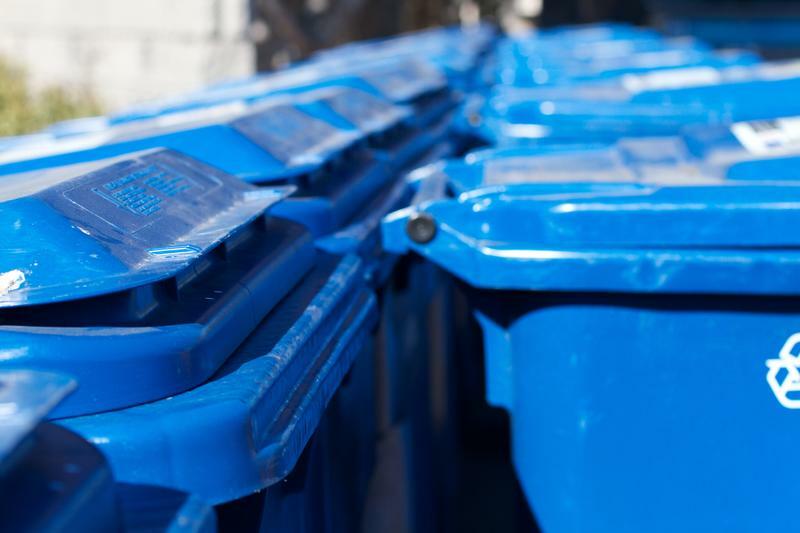 The organization is also asking for consumers help – and taking a liberal approach to what you think is recyclable is not what the company has in mind. 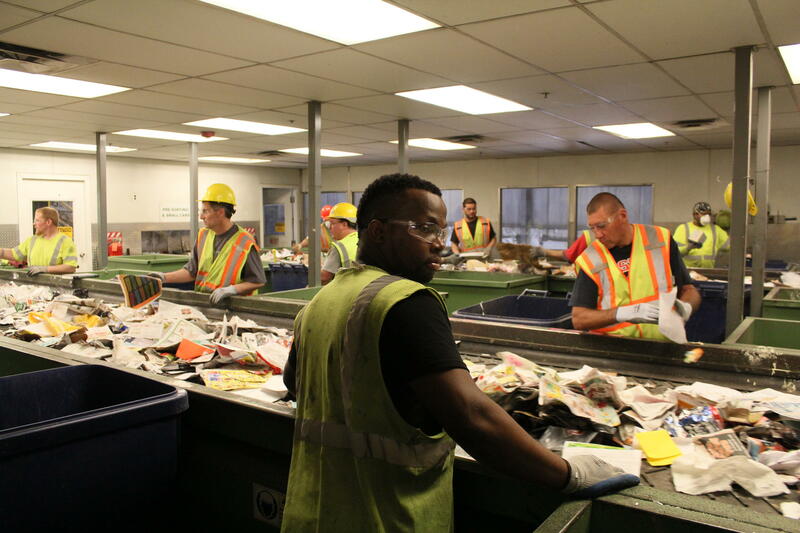 The downturn in the recyclables market is unprecedented, says ecomaine CEO Kevin Roche. Just a year ago, ecomaine was getting paid $100 per ton for its bales of residential mixed paper – the paper we toss in our recycling bins. Now the company is having to pay to recycle it. “Today, right now, we're having to pay $60 a ton to get it to market,” says Roche. Fewer people are buying newspapers, so the kind of paper being tossed into recycling bins is now more of a mish-mash. And the place where most of this recycled paper used to be sold – China – recently placed tighter restrictions on its recycling imports. That has flooded other markets that cannot absorb the influx. Unfortunately, Roche says that there is not much ecomaine can do about these two factors. But it can address the third one, contamination. That includes anything that's not recyclable. “It's diapers. It's trash. It's yard waste. It's food waste. It's hangers. Wrappers – candy wrappers,” Roche says. These examples barely scratch the surface of the non-recyclable items that ecomaine finds in recycling bins. 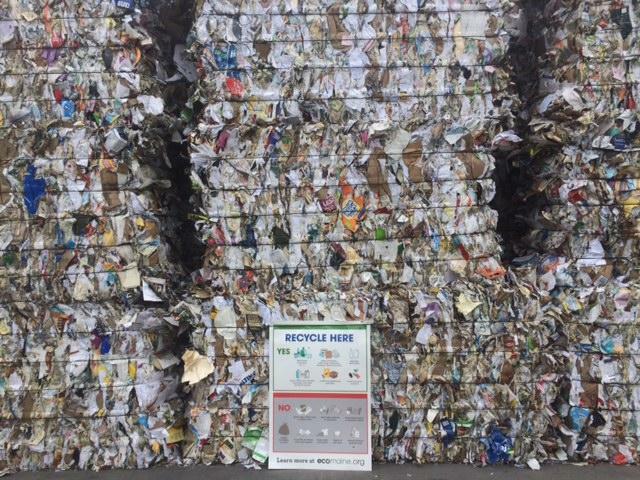 The organization's environmental educator, Katrina Venhuizen, says contaminants make a mess in sorting machinery, especially products like plastic bags and bubble wrap. 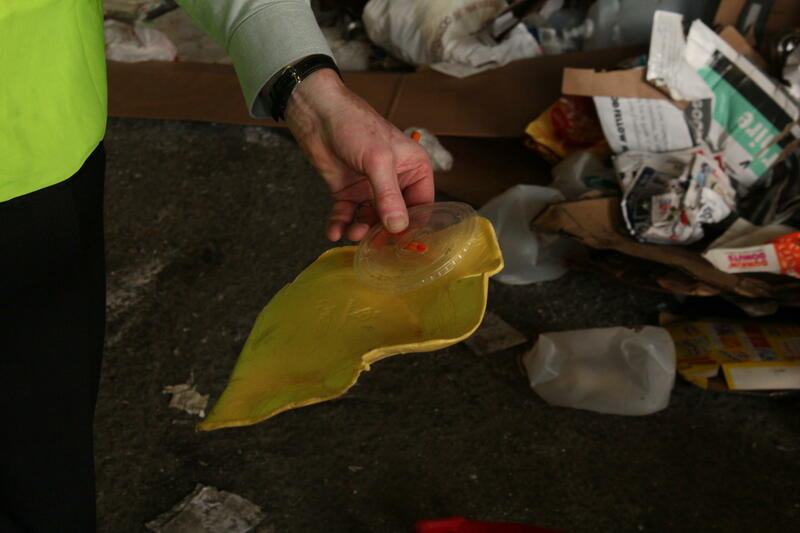 “When we get the things that we can crumble or squish in our hands, those are called tanglers,” Venhuizen says. Contamination not only gums up machinery, it makes recycled paper less palatable for markets that have a low tolerance level for contamination. ecomaine has had to quadruple the number of staff working on its sorting lines and slow down production in order to remove as many contaminants as possible. ecomaine officials say these added costs will be passed on to those who are generating the waste and recyclables. Neither the straw nor the shoe are recyclable, by the way. The straw is trash. The shoe is potentially reusable. The chair of the board for ecomaine, Troy Moon, says it is a important to remember the two other R's in the waste management mantra: reduce and reuse. Reduce first, he says, then reuse. And finally, Moon says, when it comes to that third "R" be thoughtful about what you put into the recycling bin. Willis Ryder Arnold contributed to this report. Ever-increasing demand for dealing with compost, plastic bags and other trash call for new methods and approaches to recycling across Maine.